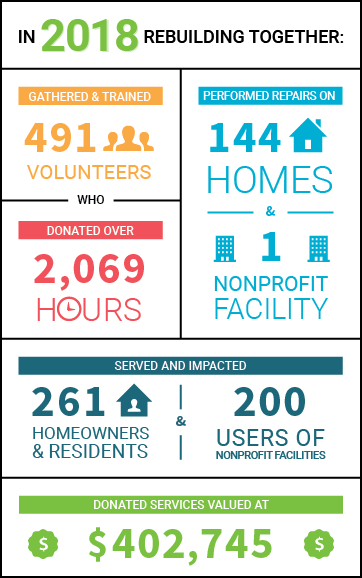 Your support allows us to impact even more homeowners and communities across the country. Learn more. 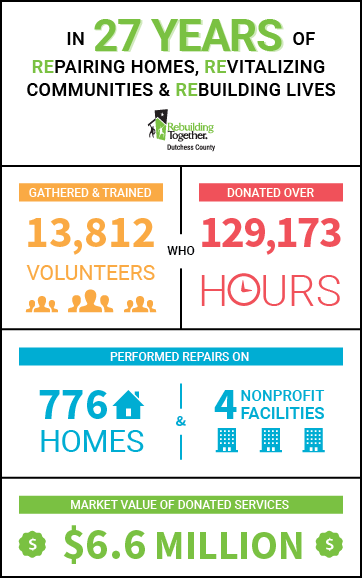 Rebuilding Together helps homeowners by bringing together and supporting our national network of local Rebuilding Together affiliates, corporate and individual donors, skilled trades individuals and associations and almost 100,000 volunteers each year. Rebuilding Together also has a profound impact specifically on older adults' lives. See how home repairs have affected their lives and allowed them to stay in their homes in this evaluation.